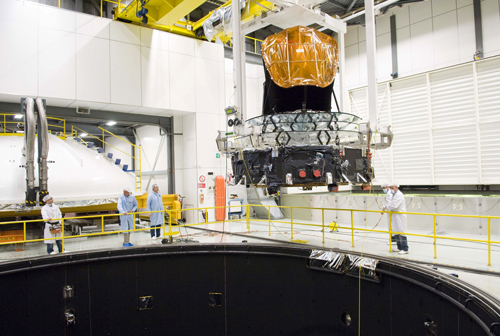 The Large Space Simulator is the largest space simulation facility in Europe. The specific design and excellent performance assure that a wide variety of tests can be performed: Solar simulation (incl. spacecraft motion), Infrared radiation, Vacuum temperature cycling, Deployment testing, Videogrammetry measurements and Dynamic balancing. 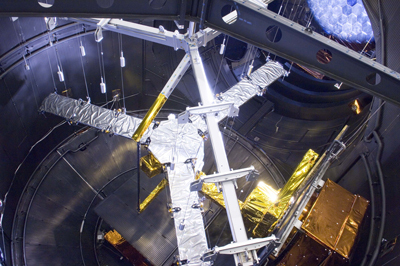 The Large Space Simulator consists of two vacuum chambers: The main vertical chamber and the auxiliary chamber. The main chamber purpose is for test article accommodation including motion system and portholes for connection of lines to/from the test article. 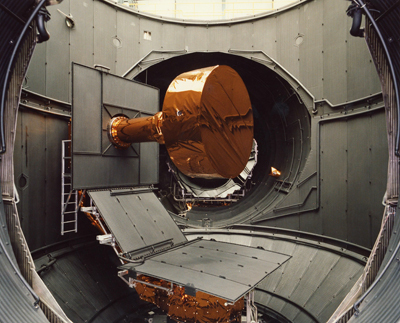 The auxiliary chamber provides the accommodation for the sun simulator collimation mirror. * Higher intensity on request.